Eat Local Eat Healthy! Eat Avocados! 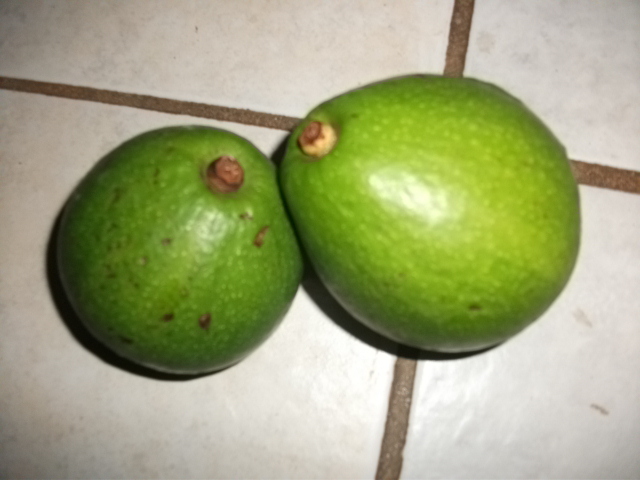 The day I heard the quote I had guacamole; avocado slices and avocado salad – delicious! I meet avocado season with great joy each year. They are a nutrient dense locally grown food that added to a meal can enhance the absorbtion of nutrients in other foods! Avocados are super foods we need to add to every meal when they are available! Eat Local! Eat Healthy! Eat Avocados! Mango season is on! Juicy, flavourful mangos are a cultural phenomena in Dominica; people of all ages; all walks of life; gather under these beautiful trees looking for the perfect mango. They knock down these mangos by throwing something at the stem that holds the mango. Then they calmly reach out one hand to catch it! Amazing! I have flung many a stone or old mango working to perfect my skills and get that perfect mango – ripe but firm; aromatic; without a bruise or mark. Success is rare but I never give up as I enjoy those mangos a lot more than the ones I get at market! Mango (Magnifera indica), known locally as mangue is native to East Asia and now grown in nearly all tropical areas of the world. Locally it is related to the Cashew, Hog Plum and Golden Apple. The ripe mango, half ripe mango, unripe mango, unripe small mango (about torch bulb size), mango kernel or seed, the skin, the sap, the leaves, the wood and the bark are used. The ripe mango fruit is a nutritional powerhouse; ………….